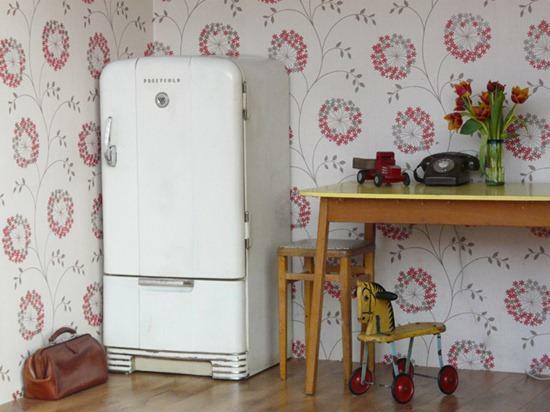 Retro fridges add striking accents to modern kitchens. 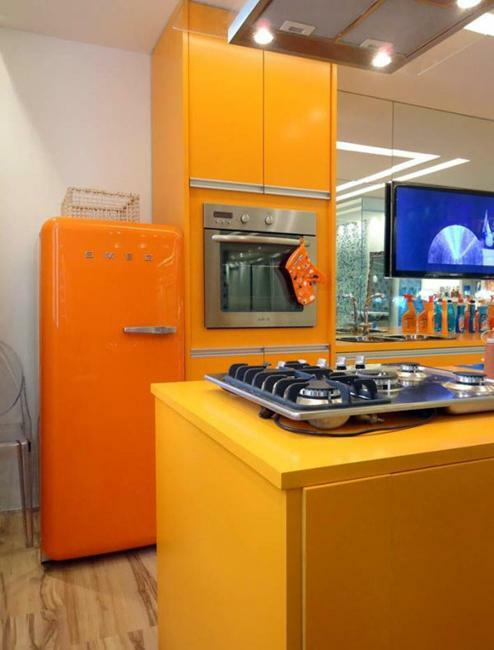 Stylish, vibrant colors and unique contemporary accessories make these appliances very attractive and modern. 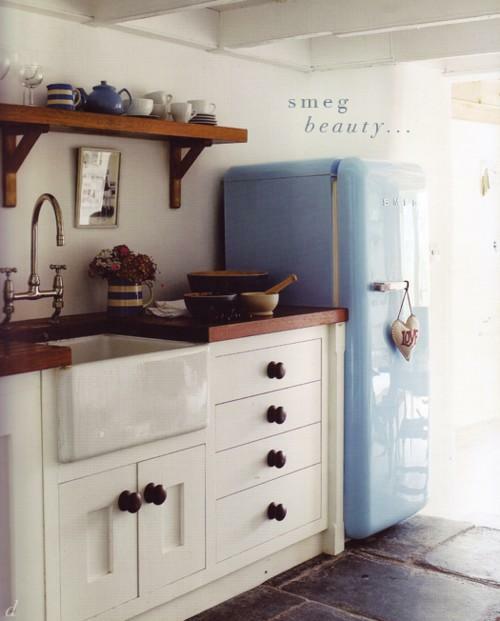 Retro fridges bring familiar shapes into modern homes and create beautiful blends of old and new. 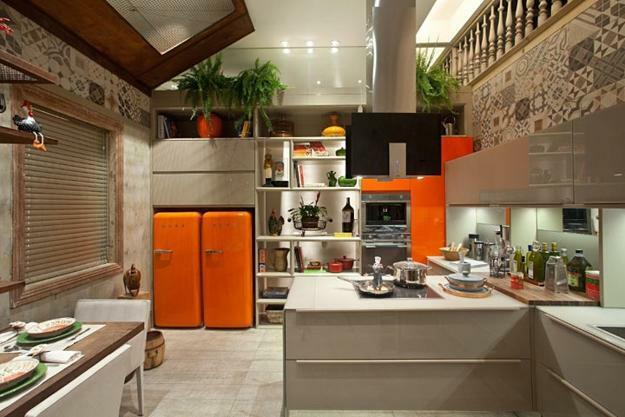 They give a unique touch to kitchen designs and make a statement. 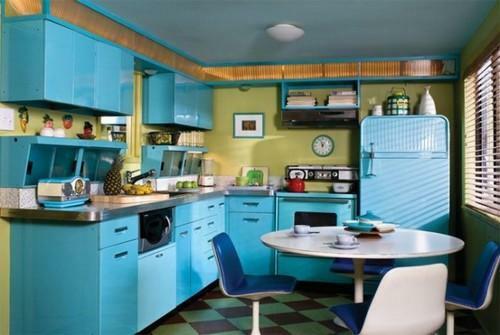 Lushome shares inspirations for creating modern kitchen design with a colorful fridge and storage in retro style. 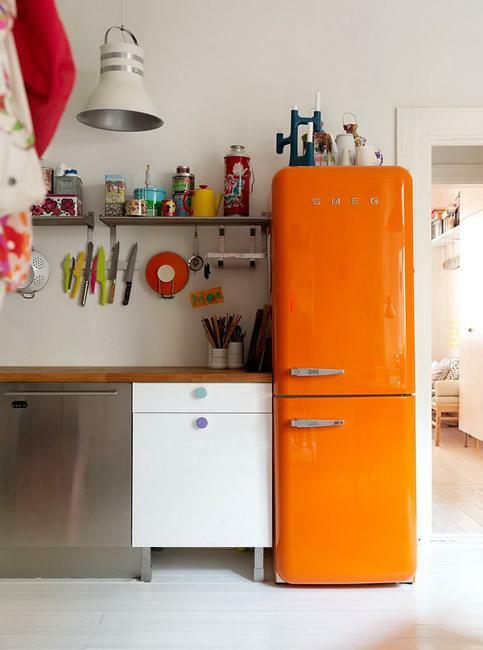 A retro fridge in a bold color can attractively accentuate your kitchen interior. 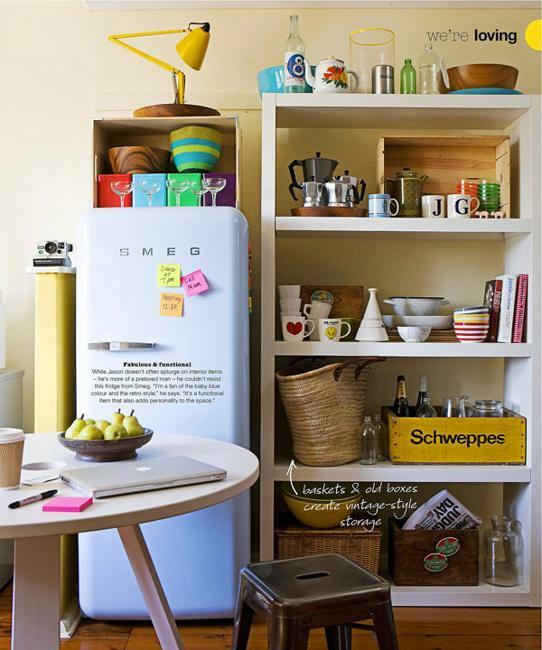 Open shelves and retro appliances catch the attention and set a nostalgic, warm atmosphere in your home. 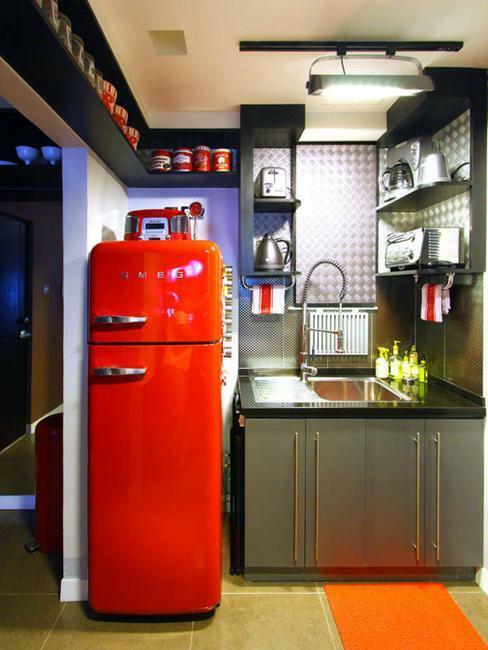 Leading manufacturers of kitchen appliances offer fabulous designs in retro styles. 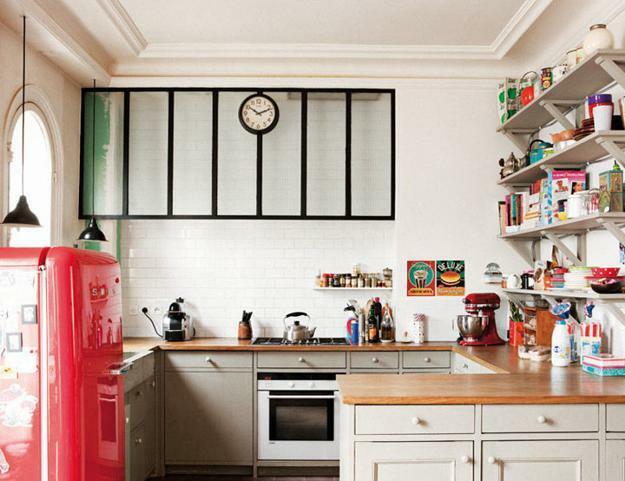 Vibrant and functional models with open shelves and vintage accessories can jazz up any kitchen. 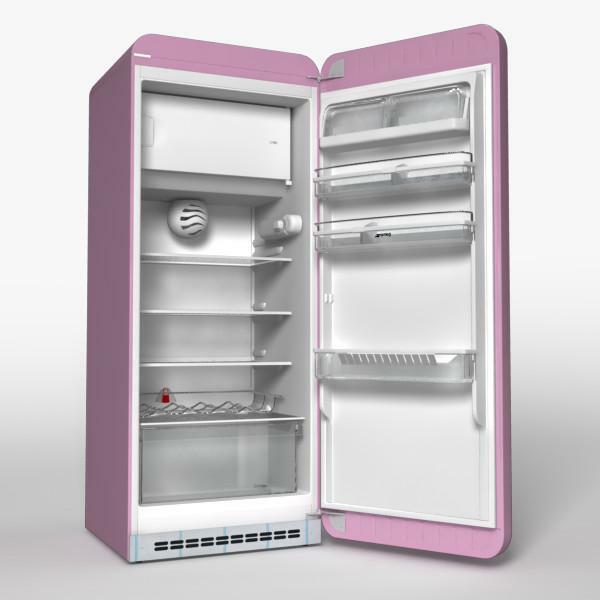 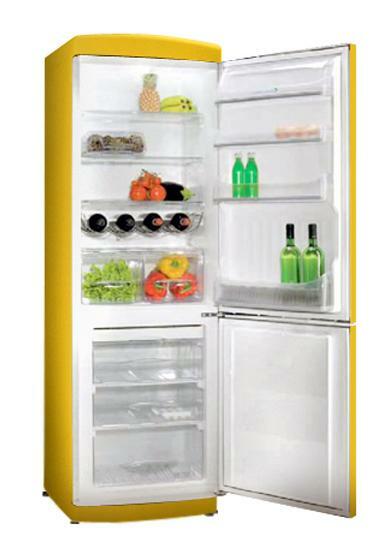 Retro-modern fridges are available in various pastels and bright colors, in different sizes and prices. 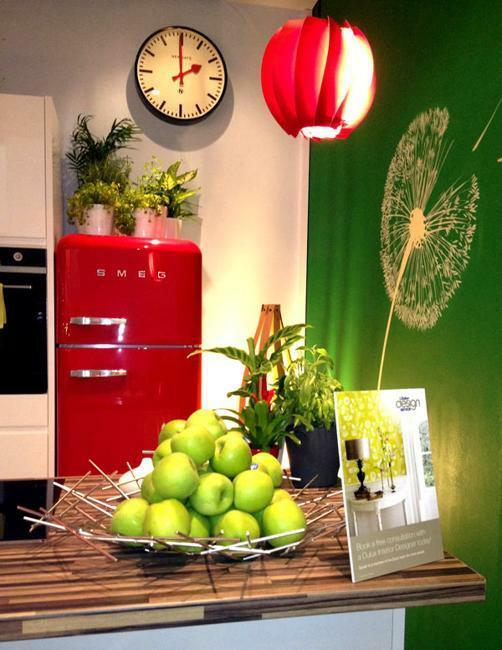 Beautiful models make impressive decorations for bright, distinctive, and modern interior design. 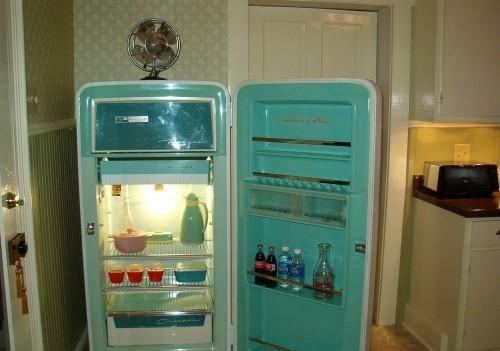 If you like the look of kitchen interiors in the 1960s style, you can beautify your home with a colorful retro fridge, open shelves, and lighting in vintage style. 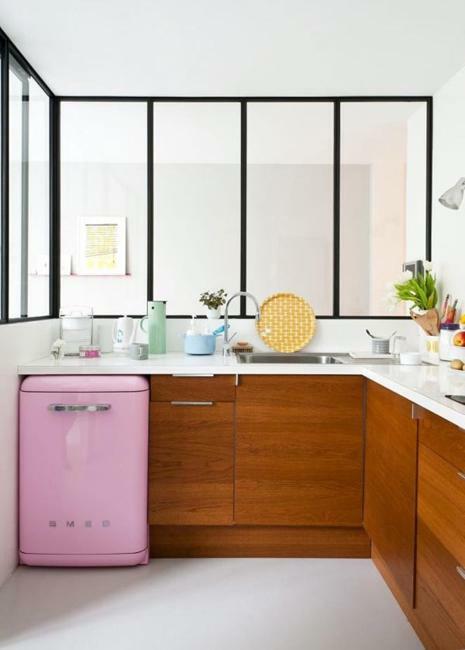 A splash of color and cute vintage accessories on open kitchen shelves personalize the space and create the beautiful kitchen. 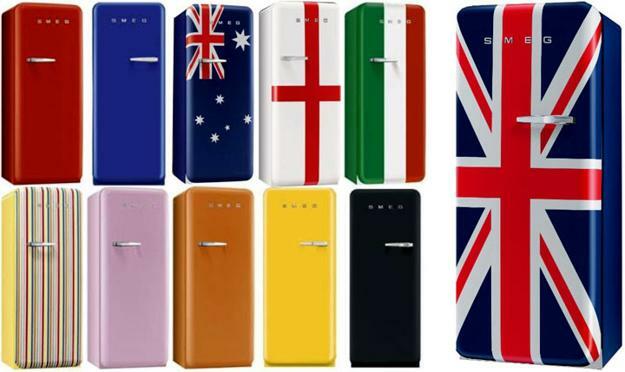 Retro fridges with their soft curves and shiny silver handles look elegant. 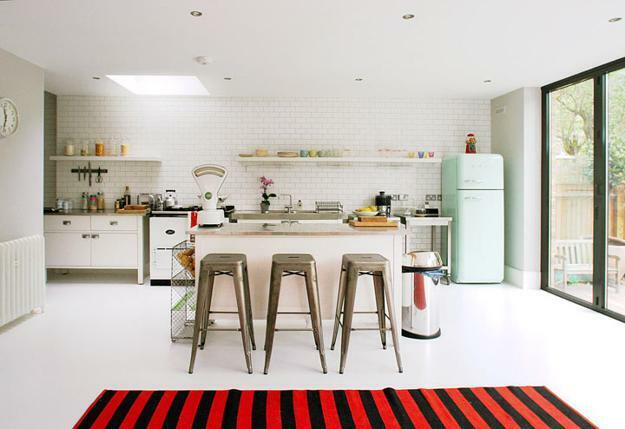 The large kitchen appliances create great focal points for kitchen designs. 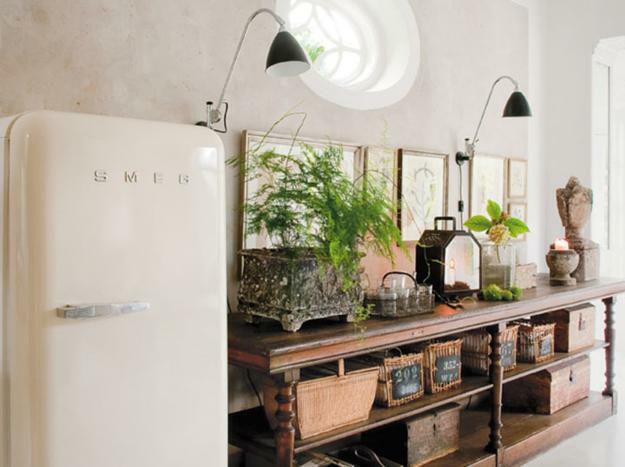 Retro fridges and stoves, open shelves, lighting and vintage decor accessories are perfect for traditional or country style interiors. 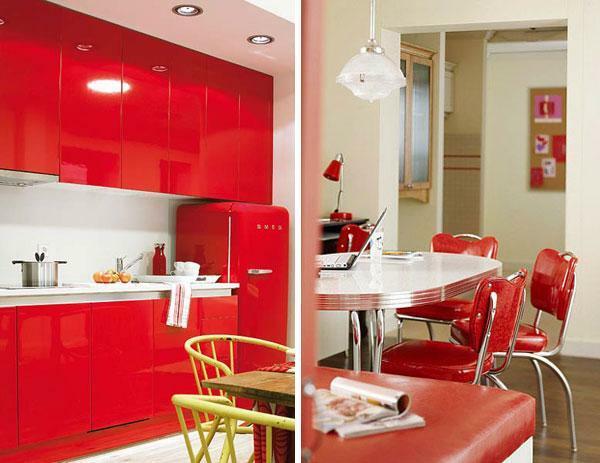 They add character, color, and unique flair to modern homes offering stylish solutions for kitchen decorating. 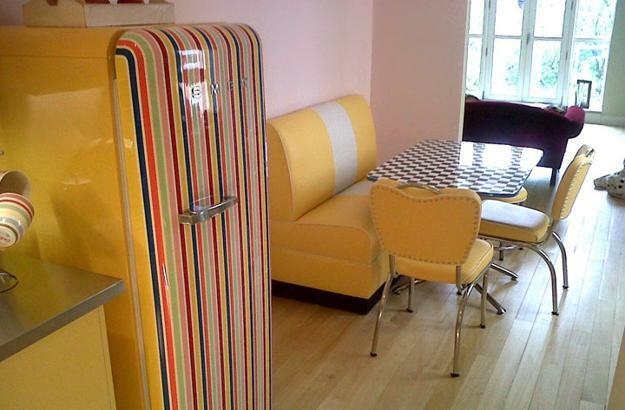 A retro fridge is not only a beautiful kitchen appliance but a functional, efficient, and modern element of kitchen design. 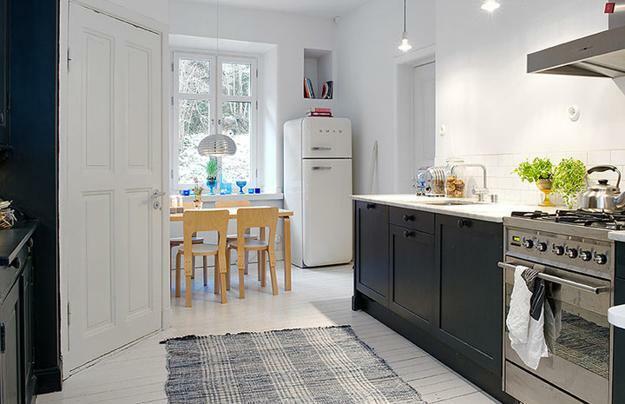 Its charming appearance and contemporary energy-saving design make these kitchen appliances desirable and enjoyed by many people. 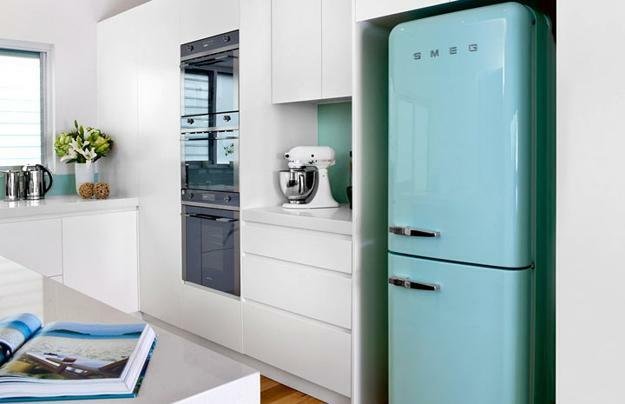 A modern fridge in retro style can have a freezer and an intelligent auto defrost feature to prevent the build up of ice on the cooling element. 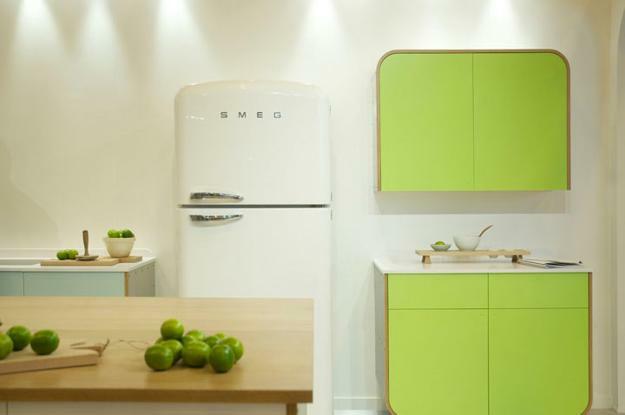 Contemporary features mean that fridges in retro style can efficiently keep food fresh while beautifully decorating modern kitchens.